Pope Francis’ document on marriage and the family follows the two gatherings of bishops and lay persons and consultation with Catholics worldwide to discuss challenges facing families. Amoris Laetitia – the Joy of Love, signals the Pope’s vision for the Church as a family of families. It reaffirms the welfare of the family as decisive for the future of every community and society at a time when individuals in personal and family life are receiving less and less support from social structures. Pope Francis also highlights the situation of the elderly in many societies, including the tragic reality of social isolation and the stresses on intergenerational relationships, which in many parts of the world leads to many elderly feeling as if they’re a burden to their families and society. Amoris Letitia is on the Wellington and Palmerston Diocesan websites. Amoris Laetitia upholds Church teaching on marriage and family. 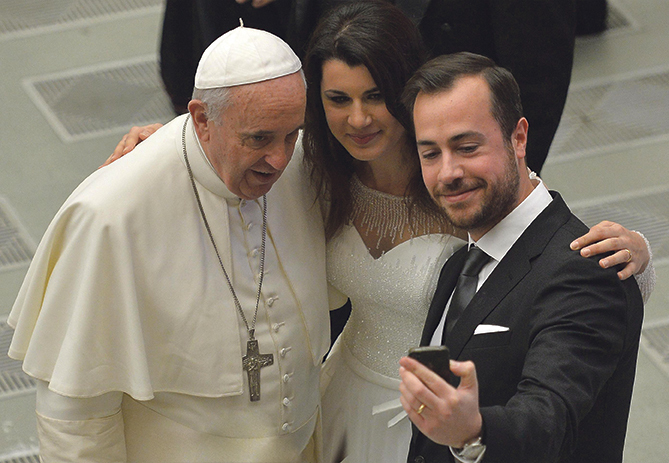 Pope Francis with newlyweds during a general audience at the Vatican. This was a woman delighting in, rejoicing in, the joy and beauty of family life, which is exactly what Pope Francis has written about. Many people thought some Church teaching would be changed. At both sessions of the Synod Francis had said he would not be changing Church teaching. He explains this in the document. He doesn’t offer a set of rules, or give any new permissions. What he has given the Church is a Gospel-inspired vision of what family life can be. He speaks words of encouragement for those who are not yet there, those still on the journey – as we all are. When it comes to moral and pastoral issues, Francis is neither ‘revisionist’ nor ‘traditionalist’; he is faithful, honest and creative. The result is one, the Pope is happy to remark, that ‘everyone should feel challenged by’. He tells us very clearly that Amoris Laetitia is essential reading for bishops, priests, and anyone involved with the apostolate of the family. He says that ALL Catholics should read this in order to see the effort the Church is making to be close to them. Pope Francis clearly believes the pastoral effort to strengthen marriages is an even more urgent need than to look at the ‘issues’ such as second marriages, gay unions, reproductive technology, cohabitation. He addresses all these things but his concern is for the Church and her ministers to be close to people no matter what their situation might be or how far from the Church they might feel. He wants the Church to understand, to accompany, to integrate and to have its arms open especially for anyone who is hurting. When reading this document, and all Catholics are encouraged to read it, I believe it is best not be to skip straight to the ‘hot issues’, which Pope Francis does tackle head on. I think it is much more valuable to read and reflect on the central piece of the whole document, the chapter on love. This chapter is based on the famous ‘hymn to love’ in St Paul’s First Letter to the Corinthians – which coincidentally Pope Francis preached about at the Consistory for the new Cardinals in February, 2015. I am sure this is the best place to begin to read this document. I cannot summarise the whole document in this column. Let’s take one example from that famous hymn of St Paul, which we hear at so many wedding ceremonies. St Paul says ‘love is not rude’. Pope Francis picks this up and speaks of the virtues of courtesy and gentleness. ‘Courtesy’, he says ‘is an essential requirement of love’, and is a school of respect, sensitivity and disinterestedness (being objective or impartial, not influenced by selfish motives). Then, in referring to the ‘gentleness of love’ he writes of the need to speak words of ‘comfort, strength, consolation, and encouragement’. In all of these we try to learn from Christ who is always our example of love. We might be so familiar with St Paul’s hymn to love that we barely notice it, but in this remarkable document, Francis, breaks open the word for us afresh, and shows in a down-to-earth way how it is relevant to us all. 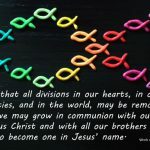 As many WelCom readers will be aware, a very big question at the Synods was how to respond to members of the Church who are divorced and remarried civilly. It is a big question today. The Pope’s very real concern was how can such people be offered pastoral care? He therefore wrote, ‘It is important that the divorced who have entered a new union should be made to feel part of the Church: “They are not excommunicated and they should never be treated as such since they remain part of the ecclesial community” (AL 243)’. He then went on to say the civilly remarried, ‘need to feel not as excommunicated members of the Church and experience her as a mother who welcomes them always, who takes care of them with affection and encourages them along the path of life and the Gospel’ (AL 299). Right through this document Francis insists the Christian teaching on marriage must always begin with a positive and attractive vision. He writes with a Pastor’s heart, and simply yet deeply enters into the everyday realties of family life. When he speaks of situations that do not correspond to the Church’s ideal, he allows a breathing space for a formed conscience and for the threefold pastoral approach of discernment, gradualness and mercy. This document offers hope in abundance. It is not a list of rules or of condemnations but a call for acceptance, accompaniment, involvement and integration. Even when people, for so many different reasons, have not been able to live up to the ideals of Christ’s teachings, the Church and her ministers are called to be at their side to help them on their journey. Our Holy Father writes, ‘The way of the Church is not to condemn anyone for ever; it is to pour out the balm of God’s mercy on all those who ask for it with a sincere heart’ (AL 295). Whenever people met Pope Francis he says over and over again ‘Please pray for me’. I ask you too to pray for him, pray for him every day and thank God for his ministry among us. the Church is called to carry out its mission for the family in fidelity, truth and love. Amoris Laetitia is from Francis as the Bishop of Rome , the ‘pastor and teacher of all Christians’, putting into 264 pages all these themes from the synod, using time and again the words of love and mercy, the first a staggering 483 times. 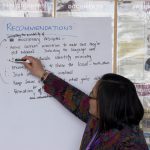 There can be no doubt that Francis expects the Church and its pastors to not stand back lecturing and judging but to become involved in the messiness of people’s lives, accompanying them and helping them to discern ‘how to find possible ways of responding to God and growing in the midst of limits’. The exhortation is divided into nine chapters. All have their place but there are four I have focused on as the most relevant to me as a layperson, wife and mother. They were Chapter four with its wonderful teaching on Pauls’ letter to the Corinthians on love. Most would agree that it is kind and thoughtful advice on what should be the basis of any lifelong partnership. Chapter five is on children, parenting and the family and how parents ‘teach the value of reciprocity, of respect for differences and of being able to give and take’. Chapter six is on the importance of proper marriage preparation and accompanying couples throughout their married life. Chapter eight is probably the most awaited as it addresses what the Church terms ‘couples in irregular situations’. In it, he speaks of the need for integration, discernment and participation. Was I surprised by anything in the exhortation? Not really, apart from the Holy Father including so much from the final synod document. He never was going to change fundamental Church doctrine but clearly signalled the Church must move away from rigid canonical regulations and ‘to enter into the reality of other people’s lives and to know the power of tenderness’. Finally, from a personal perspective, given that the themes of my intervention at Synod were love, the exercise of mercy, the need to understand the reality of people’s lives and the importance of lay people making good decisions in conscience, I am unsurprisingly very pleased with the exhortation. Sharron Cole was one of two New Zealand lay representatives at the Synod in Rome last October. She was invited to give a presentation and participate in the Synod discussion. One of the two lay representatives among the four New Zealand participants at the Synod on the Family in Rome last October, Dr John Kleinsman responds to Amoris Laetitia. In just a few days much has been already written about this highly anticipated document and much more will surely be written on it. Somewhat predictably, many commentators have zeroed in on the ‘hot-button issues’ of cohabitation and the question of couples in ‘irregular’ second marriages accessing the sacraments. These issues are dealt with largely in chapter eight where, showing the instincts and wisdom of a great and caring pastor, Pope Francis has provided us all with an important reminder of the Church’s teaching on conscience as well as an excellent primer on the basics of Catholic moral theology – stressing that ‘a negative judgement about an objective situation does not imply a judgement about the…culpability of the person involved… Under certain circumstances people find it very difficult to act differently…the consequences of actions taken are not necessarily the same in all cases’ (n. 302). What is important is to recognise the goodness in people while offering the healing power of grace and the light of the Gospel message – ‘the logic of integration is the key to their pastoral care…’ (n. 299). A number of commentators on the document, mostly Catholic, are going so far as to accuse Pope Francis of making the Church ‘ruthlessly liberal’ under the guise of building an inclusive Church. But there is no ‘new’ moral teaching in Amoris Laetitia. As one experienced New Zealand parish priest, ordained for more than 40 years, said to me this week: ‘We were taught this approach in our moral theology and pastoral theology classes when I was in the seminary’. 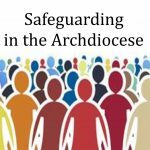 In other words, the approach taken by Pope Francis is more a case of ‘back to the future’ – a reminder of what some have forgotten; a challenge to recognise the folly of simply imposing rules on people in very difficult situations that only leads them to feel judged and abandoned (n 49). Indeed, an honest assessment of the Church and its more recent failings in reaching out to people who are hurt is, for me, one of the things that stands out in reading this exhortation, including a tendency in our moral teaching and preaching towards ‘excessive idealisation’ (n 36). This is not the writing of a Pope preaching down to the assembled hordes in Vatican Square from the steps of St Peter’s but a Pope seated amongst his people reflecting on their conversations as fed back to him through the two synods on the family. For me it has the feel of an ‘adult-to-adult’ discussion rather than a ‘parent-to-child’ lecture. It is a thoroughly grounded document, which appreciates the complexities and challenges of modern living, but holds out hope and seeks to encourage in the real sense of that word – to have and act with greater courage in the name of love, mercy and truth. Having read many papal documents in my life-time I am struck by its style and honesty. It is refreshingly disarming and I’m appreciative of that. Just as Peter, who failed Jesus three times on crucifixion day, is fed by the resurrected Jesus on the beach before being asked three times, ‘do you love me?’ (John 21), so Amoris Laetitia focuses on the need to meet and feed people where they are at and to respond to people’s situations with the sort of love that calls them on, gradually but surely, to become better disciples and even great leaders, as was the case with St Peter. The word ‘love’ appears in different forms a staggering 483 times throughout the document but at the same time there is no sense that the truth and wisdom of our moral teaching has been or can be side-lined. However, important as the questions of morality and pastoral care are, I hope this is not all the document will be remembered for. It is a rich, broad and varied document that contains much wisdom to reflect on. In particular, I recommend reading chapter four titled ‘love in marriage’ – an extended reflection that carefully and tenderly describes human love in a way that is unprecedented in previous papal documents. In fact, chapter four is a great place to start reading the document. Pope Francis states early on in the exhortation that it should be read without rushing…and I have done exactly the opposite. But I am spurred on to now go back and read it more slowly and deliberately. I hope and pray that is what we all do ‒ for there is something in this great document for everyone, including those who feel there are some opportunities missed. Dr John Kleinsman is a married man, director of the New Zealand Catholic Bioethics Centre and a lecturer for The Catholic Institute. Last year he participated in the second Synod on the Family in Rome.